2.5" to 3.5" IDE Hard Drive Adapter Converter. HX-IDE-K 24 to 20 Pins ATX Power Supply Downgrade Adapter Cable 3COM 3C16441A SuperStack 3 Baseline 12-Port Hub. 3M 3365/10 Flat Ribbon Cable, Round Conductor, Grey, 100'. 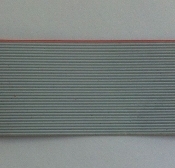 3M 3365/34 Flat Ribbon Cable. New. 444-1577. Video and Ethernet Card for Macintosh PowerBook. 481409-001 HP DVI to HDMI Video Card Cable. New. Allsop 23135 Cable Control GuideWire Set. New. Black. AMP 70862 Connector 392843-01-3 Cable. New. 52112. ANTEC TVator II Remote PC VGA to TV Converter Kit. 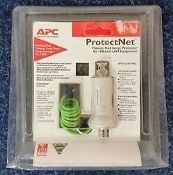 APC P10B2 ProtectNet Thinnet Port Surge Protector. New. AS615AA HP Display Port To VGA Adapter. New. OEM. CenDyne 56K RS-232 External Modem. New. (28) Cisco AC Adapter 34-1537-02 REV: AO. Compaq 258574-B21 External Diskette Drive. New. Compaq QuickRestore CD. 298384-002. New. Restore Disk. Compucessory 26312 Neo-Sport Drive Case. Red. Computer Stand. Beige. 3 7/8" Wide where the computer sits. CR2016 Lithium Battery. 927799682184. 3 Volt. Package of 5. CR2025 Lithium Battery. 927799682177. 3 Volt. Package of 5. CR2032 Lithium Battery. 927799682160. 3 Volt. Package of 5. DB15 Female to RJ11 Connector. New. DB15 Female to RJ11 Connector. New. 23758B Dell 03FR23 Rear Cover. Used. Dell 0G9438 Y Splitter. 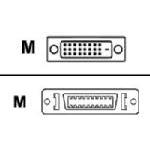 Male DVI to 2 Female VGA. New. Dell 0H006T Cover. Used. Dell 0P995R Vostro 320 Hinged Stand. Working Pull. Dell 453030300370R DVI-D Dual Link Digital Cable. 6FT. Dell 85366 Speaker Assembly. New. Dell E210882 Motherboard. Refurbished. Dell Power Supply Tester ATX. FT295. Dell Vostro 320 Back Cover. CN-06X1DK. Used. Dell Vostro 320 Computer LCD Screen Inverter 05HP4X. Dell Vostro 320 Series 18.5" LCD Screen Bezel. Used. 0K005T. Dell Y1224 Control Panel. Delphi JS10014-11P1 USB 2.0 Lighted Device Cable. 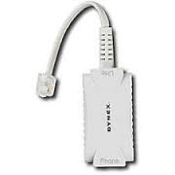 Dynex DX-AP110 Mini DVI to VGA Adapter. New. UPC: 600603113628. Dynex DX-NDSL2 In line phone DSL Filter. New. ADSL. POTS Filter. Dynex DX-PS3002 Digital A/V Cable for PS3. New. Evernew RJ45 26.2308.02, RJ-45 Cable. New. 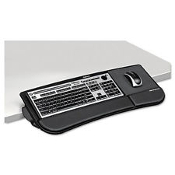 Fellowes 8060101 Tilt and Slide Keyboard Manager. New. Fellowes 99008 Surge Protector. 6 Outlet. New. Foxconn C31751-001 Cable. K0632. Refurbished. HDMI 90 Degree Male to Female Adapter. 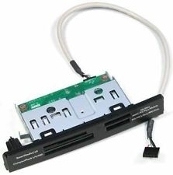 New HP 209815-001 Adapter Connector DVI-I to VGA. New. HP 5407436 Power Button Switch Button with Wires. HP 55042-8771 Media Center PC Top Plate And DVD Holder. HP 5733752200 Media Center Front Plastic Bezel Plate. HP Display Port to VGA Female Adapter 481408-003. HP Jetdirect EX J2382, J2382B, J2382-60003. Used. HP Pavilion 15051-T1-REV Audio USB Ports Panel. HP Pavilion 5043-0072 Faceplate Front Bezel Frame. HP Pavilion 5070-2566 Media Card. Refurbished. HP Q3093-80004 2-Wire Phone Cord Adapter. New. HP/Compaq 112666-003 Armada Black Phone Cord. New. i Dream U-AD20 Audio Blaster 5.1 Channel Effect Sound. New. IDE to Serial ATA SATA Power Adapter Cable. PWS17904. IMS SNT-108 Removable Frame for 3.5" HDD. New. (H) Intel Pentium II Processor. 233Mz. New. (27) Iomega 304226402 USB to ATAPI Adapter. New. MacBook Pro 13.3" Black Silicone Keyboard Skin. Manhattan 360258 SCSI Cable. UPC: 766623360258. 6'. Manhattan 360401 Serial Port Adapter. DB9M to DB25F. Manhattan 360418 Serial to PS/2 Mouse Adapter. New. Manhattan 360623 Power Y Internal Cable Adapter. Manhattan 364682 S Video Cable Monitor Cable. New. Manhattan DVI Analog DV29M to HD15F. 766623365192. MediaMate All Purpose Computer Locking Kit. Model: #18207. Molex DVI-D to DFP 10 Foot. P/N: 0688020019. Monitor and Keyboard Cover. KW19075. New. Panasonic UE-4100047F 4MB Flash Memory 5.0 Volts. New. Plastic Hood Cover for 9Pin or 15Pin D-Sub DB9 DB15. Portable ASP150T Surge Protector. Ideal for Travel. New. PPGA Celeron CPU Converter. FC370. New. 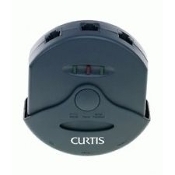 QVS CA298-2S SureGrip AB Data Switch. New. Retractable Ethernet Cat5 RJ45 LAN Network Cable. Standard USB A To Miniature USB Connector. New. 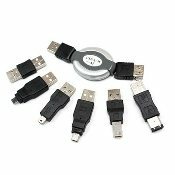 Super Talent INTAIJTMCR Internal Card Reader Writer 3.5"
Travel Kit Cable USB To IEEE 1394 Firewire Adapters. USB 2.0 A Male to Female Extension. Cable 3FT. New. USB 2.0 Adapter for PS2 Keyboard / Mouse. New. 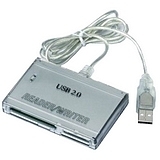 USB 2.0 Card Reader and Writer. 012405083106. New. 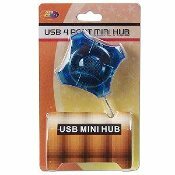 USB 2.0 SD SDHC MMC Card Reader for 2GB 4GB 8GB 16GB 32G USB CX-H1041A 1.1 Mini Hub (4-Ports) Translucent Blue. USB to 2 PS/2 Cable. HL-0002A. New. Vetra VIP-882-TS TouchMux. Used. VGA Super VGA, SVGA 15' Monitor Cable. Male to Male. New. WebCam 10X Digital Zoom F-3.85mm Megapixel. New.